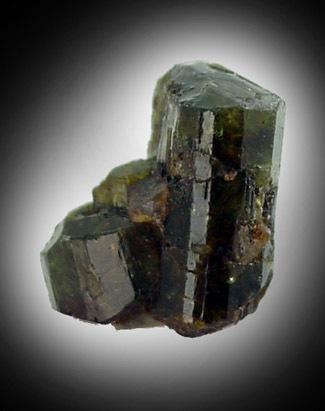 Comments: Greenish-brown chrome-rich dravite tourmaline crystals up to 13 mm long with complex terminations. Fluoresces mildly under UV illumination. Location: Shako Ranch, Mwatate Kabanga, Voi, Taita-Taveta district, Coast Province, Kenya.